With appropriate treatment and routine maintenance, your fine jewelry will compensate you with a life time of satisfaction and luxury. Lucio's Gold offers a full assortment of specialized jewelry repairs in The greater Toronto area, which includes refinishing and repair services that make it easy for you to recapture the enjoyment your jewelry was intended to deliver. Our complete selection of Toronto jewelry repair solutions consists of ring sizing, mountings, stone replacement, retipping prongs, jewelry cleaning & polishing, necklace repair, bracelet repair, clasp replacement, refurbishment & custom jewelry designs. 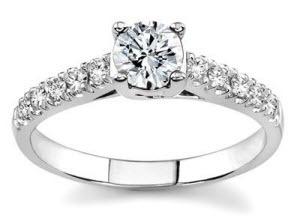 Happen to have a beloved ring that does not fit any longer? Our Greater Toronto Area expert jewelers can identify your appropriate ring size and professionally size your sterling silver, gold or platinum ring to match you flawlessly. Band re-sizing services are readily available for all ring measurements. Is your diamond loosened in its placing? 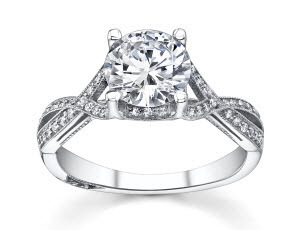 Appropriate upkeep and prong retipping can reduce you from dropping your valuable diamonds. We can examine your jewelry mountings in The greater Toronto area and prongs for wear whilst you observe our jewelers service your jewelry. Lacking gem stones from your jewellery? Our Toronto professional jewelers can change the gemstones in any setting — solitaires, three-stone bands, tensions settings, channel settings, bezel settings or pave. Or we are able to arranged unfastened gem stones within your selected mounting. Wish to re-use your outdated jewellery to produce a new custom-design? We will produce a stunning new piece of custom made jewelry you will treasure once and for all utilizing a number of methods from lost wax casting to give fabrication to produce the one of a kind Toronto jewelry style you would like. Uncertain about the proper way to thoroughly clean your jewellery? We are able to thoroughly clean, shine and reinstate your jewelry to appear like new! Our expert jewelers can make your jewelry glow right in front of your eyes. And suggest the appropriate cleansing solutions for your particular jewelry. Is the favourite charm bracelet damaged and seldom used? At Lucio's Gold we can examine and restore damaged chains, necklaces and charm bracelets – or substitute worn-out clasps and closures. We rapidly fix up your bracelets, anklet bracelets and jewelry chains to appear new once again. Require a couple of pearl jewelry restrung? As time passes and regular wear the chords of pearl necklaces and pearl bracelets turn out to be fragile and prone to damage. Let the GTA professionals at Lucio's Gold extend the life span of the pearl jewelry by restringing and examining the clasps. Our Toronto watch specialists at Lucio's Gold service all models and makes of designer watches and pocket wrist watches. We provide a complete array of watch repairs solutions for getting your best timepiece installed and operating while you shop. Consider doing jewelry repairs because most jewelry pieces have sentimental value, because it brings down your insurance premiums if you had insured your jewelry, and because it is cheaper than buying new jewelry. Jewelry, especially precious metals, bends and tarnishes easily. You should therefore remove the tarnish using liquid jewelry cleaners. All you need is a spray bottle or a dipping tray, gloves to protect your hands since these cleaners are made from harsh chemicals, and a gas mask because chemical reaction of these cleaners with metals produce odors. After the cleaning, rinse the jewelry in water, preferably warm water and then dry it using a towel and a polishing cloth. Another of the common jewelry repairs is the replacement of broken clasps. Jewelry supply stores and craft department stores have replacement clasps, fastening tools, and 'jump' rings. You could also buy these online to save money. Chain flattening is also a common jewelry repair. To do this, simply lay the chain down and roll down a round pen over it until it becomes smooth. You could make repairs on gold jewelry by buying a gold solder and soldering like you would with any other metal. Consider investing in such tools as chain noses (also called needle nose jeweler's pliers), clasps, jump rings, buffing machines, acid pots, hand motor tools, a bench set-up, assorted hand tools, and other tools to help you in these jewelry repairs. DIY (do-it-yourself) jewelry repairs are advantageous in that you could take repairs as a hobby, you could do the repairs for stress relief and as a pastime, you will save money since you do not need to hire a pro, there is no risk of your jewelry getting lost, and you could use the repairs as a bonding session with a loved one. It is however sometimes important that you hire a professional from Lucio's Gold which will be able to restore all your jewelry to pristine quality. Book a Consultation with our Toronto Jewelry Repair Specialists today by calling (905) 475-1702 and mention you're calling as per Lucio's website! !